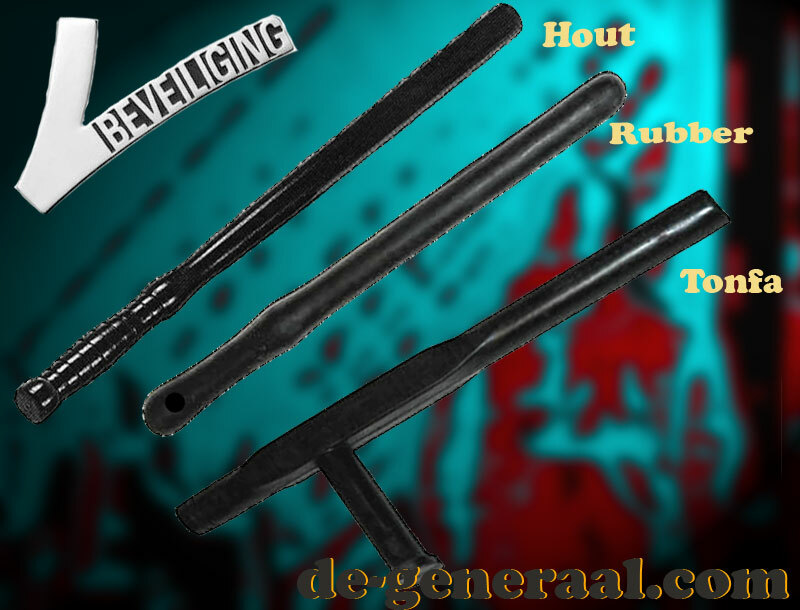 Maten: Rubber ± 40 cm. Hout ± 56 cm. Tonfa ± 50 cm.